The Dell KB522 Wired Business Multimedia Keyboard has a refreshed ID and a sturdy/robust design with mid-profile keycap for great typing experience, quiet acoustics and durability for daily business usage. 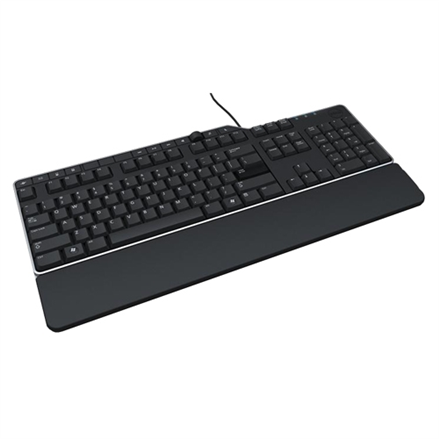 In addition, the Dell KB522 has a set of multimedia and shortcut keys. Features - Palm rest, 2-port USB hub, spill-resistant.